The drug is the dried entire herb of Didymocarpus hancei Hemsl. 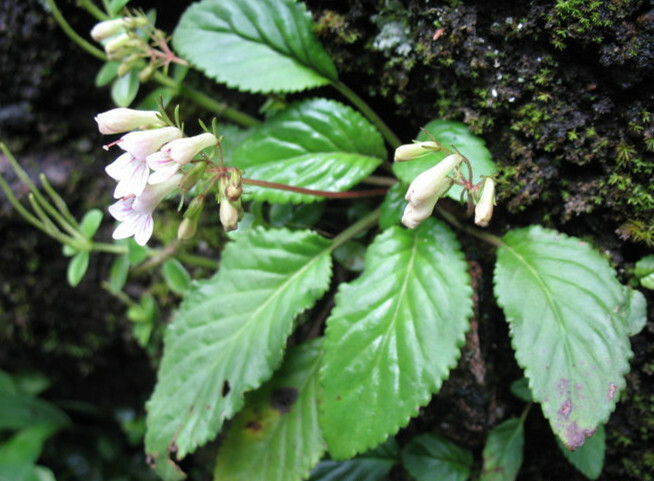 (family Gesneriaceae), growing in forests or on hilly rocks, and distributed in Jiangxi, Fujian, the west part of Hunan and Guangdong of China. Expel wind-heat and remove toxicity. Cough, sneezing, running nose caused by wind-heat.